Another year has come to a close and IHA is looking forward to 2019! We thank our IBC members for your support and participation throughout the year. Healthy retail sales numbers reported during the holiday season have capped off a successful year in the home and housewares industry. 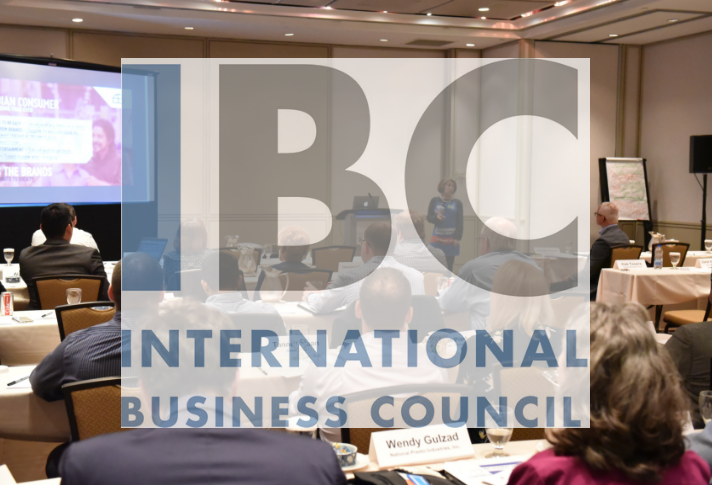 In 2018, the International Housewares Association, through the International Business Council (IBC), hosted many events designed to help members market and sell their products internationally by sharing information, providing networking opportunities and offering programs to assist, support and educate. To start the year, members met with key global retailers and distributors at the International Home + Housewares Show in Chicago and capitalized on the opportunity to sell products, build brands, network, engage, learn and grow their business. Members who were intent on increasing their presence internationally in South America and Europe participated in two highly successful Trade Missions. In June, nine IHA member companies traveled to Bogota, Colombia and met one-on-one with 10 of the largest and most important retailers in the market in addition to meeting with numerous distributors currently serving the Colombian housewares channel. Near the end of the year, a second Trade Mission provided an opportunity for five member companies to learn about the markets and meet with retailers and distributors in Madrid, Spain and Paris, France. In September, IBC gathered in Toronto with IBC members and other industry partners for the 2018 Global Forum. Those in attendance were able to learn from the many global home and housewares retailer and distributor presenters, including presentations from key retailers from Canada, United Kingdom, Colombia and Europe. In an executive education session at the event, Dr. Richard Ettenson from Thunderbird School of Global Management presented Let’s Go – Let’s Grow: Realizing Success Factors for Overseas/Global Growth. Networking opportunities were abundant and well utilized by all to share best practices and learn from peers in the industry. Looking forward to 2019, there are numerous events and offerings to expand your business in international markets. Of course, most important is to prepare and participate in the upcoming 2019 International Home + Housewares Show in Chicago on March 2-5. Thousands of key international buyers will be in attendance looking for the newest and best products in the industry. Make sure you invite your key buyers and prepare your staff to receive buyers from over 130 countries into your booth. Offered in June, IHA will host a Trade Mission to Tokyo, Japan and Seoul, South Korea. If you want to better understand the retailers and distribution channels in these key Asian markets, consider participating in this event. This mission will focus on how to enter the market and will provide the opportunity to meet one-on-one with key distributors in each country. Attendees will also gain an understanding of the top retailers during retail tours at each location to see store merchandising, competitive and complementary products offered and market pricing. As a member of the IBC, you are able to join us on Trade Missions and attend the annual Global Forum. Don’t forget about the other important benefits of your IBC membership such as the Key Retailer and Key Distributor Reports available in the members-only section of the website. These great reports provide key retailer and distributor information, including buyer contact details in many global markets. Pre-and post-Show international attendee lists are also provided and accessed through the member portal. We are looking forward to our annual IBC meeting, the Global Forum, which will be held in San Diego, Calif., September 15-17. The beautiful location, global industry presenters and great networking opportunities will be highlights for both new and seasoned international-focused members. Finally, keep up with all of the newest international industry news and IBC information through the monthly Global Connect Newsletter and the IBC Blog. As we head into 2019, we look forward to working with you to successfully grow your global business! For additional information about any of the above events or programs, contact Lori Szudarek, Senior Manager, International.